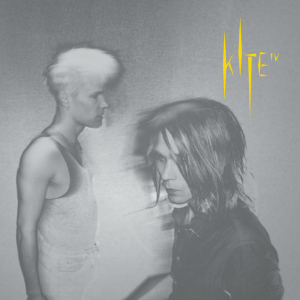 Patrik Lindström Pop, Synthpop With Kite's last EP release 'III', they opened my eyes and even though it was not love like in the movies, we surely had a fling. But with 'IV' I am more than ready to buy a ring and get down on my knees, because this one is a keeper! In the music world there's bad unique and it's good unique. With bad unique I mean "oh, I've never heard anyone play coconuts on Uranus before...", but Kite is a completely different story. They sound like no other band and they do it with style, and most of all, it sounds fantastic. It's all about creating your own style and feeling. Just with meeting people, the ones with personality is the ones you'll remember over the generic ones. There's such devotion in everything they make. Even though I don't love every single track they have released, it's impossible not to feel anything while you listen. It speaks to your heart and always leaves you with a good feeling. The first track "I just want to feel" is perhaps a bit difficult in its arrangement, but I still like it. Kite also makes up for it with the second track "Step Forward" that is much more straight and with a massive synth chorus it ends up as true excellence. The third track "Victorious" is a real arena song and I can really see tens of thousands of people singing along with the chorus. Not only is Kite unique, every track they make feels fresh and unique as well, and this continues on with their "Stand Back" and "Closing My Heart". It's really clear that their EP's only concept is working well, and perhaps I should be glad I only get small tastes of Kite, because an album of this would make my ears squirt with joy. With Kite's last EP release 'III', they opened my eyes and even though it was not love like in the movies, we surely had a fling. But with 'IV' I am more than ready to buy a ring and get down on my knees, because this one is a keeper!